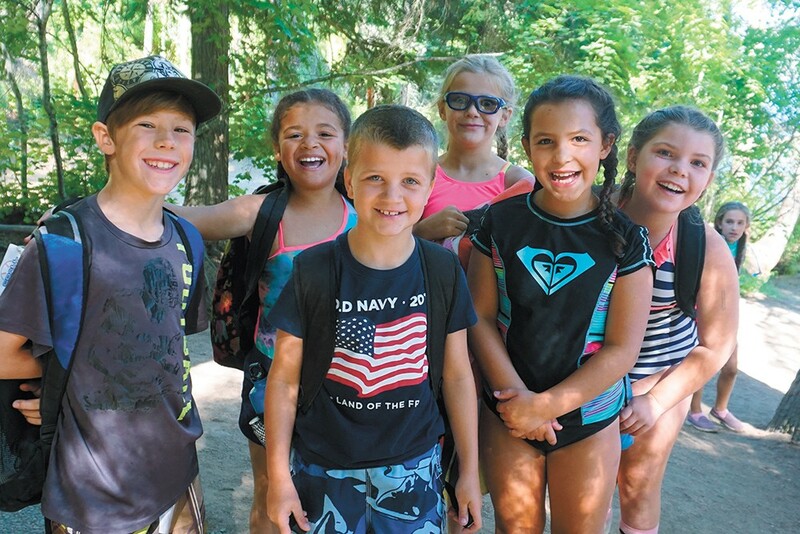 Camp Fire’s Camp Sweyolakan on Lake Coeur d’Alene hosts traditional sleepaway camp for all ages. Camp Dart-Lo Youth Leadership Camp | "Program Aides in Learning" is a session for older campers to build leadership skills through outdoor play, service learning and team building. Grades 6-9. Two-week sessions are July 9-13/July 16-20 and July 23-27/July 30-Aug 3. Kids grades 6-12 can attend camp for free by serving as a Camper Buddy, and assisting special needs campers. Application process/prerequisites needed. $225. campfireinc.org 747-6191"
The original print version of this article was headlined "Day Camps"